Senior alert systems are safety devices for older adults who live alone. These systems use technology to call for medical assistance in the event of a fall, heart attack, or other health emergency. The earliest systems, which were introduced in the 1970s, were nothing more than a push button worn around the neck, which sent an alert to a call center. Most Americans became familiar with these systems though the often-parodied commercial in which a woman proclaimed, ?I?ve fallen and I can?t get up!? These systems were often mocked and stigmatized for their portrayal of a feeble, desperate older woman. In reality, they provide a valuable service to active seniors who want to remain independent in their homes. 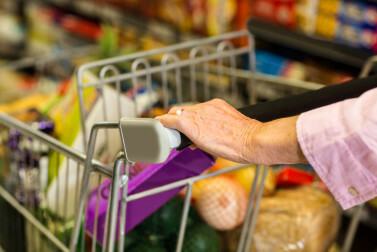 Today?s senior alert systems are more functional and accessible than ever before. They can be worn around the wrist or neck, or placed on a wall of the home. They offer far greater functionality than earlier models. Some can detect a fall or health issue and call for help automatically. Others come equipped with GPS, which can summon help during a fall or other medical emergency away from home. Several different companies offer senior alert systems, including Life Alert, Medical Alert, MobileHelp, Alert1, ADT, and Rescue Alert. These products typically charge an activation fee, which ranges from $50 to $200, and a monthly fee, which ranges from $25 to $60, depending on the scope of services offered. 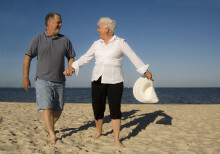 Medicare and private insurance plans typically won?t cover the cost. Before purchasing any senior alert plan, research it carefully. Make sure you know which services the plan offers. Also find out whether the company has its own call center that?s staffed 24 hours a day, 7 days a week. Even the best senior alert system won?t do you any good if you don?t use it. Keep it around your neck or wrist, so help will always be on-call when you need it. Staying in one’s own home, managing day-to-day activities, and living independently is a goal for most people as they age. But for many, medical and physical challenges can present an obstacle to staying home alone. 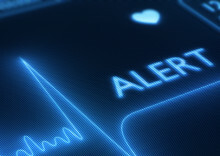 Medical alert devices—known commonly as senior alert devices —are changing that scenario. Many of the day-to-day tasks people take for granted in their younger years become more onerous for the elderly. Activities like the four below—meals, transportation, hygiene, and mobility—can become challenging.